Illicit stills are part of the history of whisky distilling in Scotland. If you probe into the history of the area around Tomatin, you will find that whisky has almost certainly been distilled there for centuries. As a distilling site, illicit or otherwise, Tomatin goes back to the 15th Century when drovers – men who drove their cattle - would stop to fill their ram’s horns at the still alongside the old laird’s house. This house was part of the Tomatin Estate and was located where the modern day distillery stands. A formal licensed distillery for the making of fine Scotch malt whisky was first built on the current day site in 1897 by the Tomatin Spey District Distillery Co Ltd, and revived in 1909 by the new Tomatin Distillers Co Ltd.
A 20-year expansion program started in the 1950s saw production rise to some 12 million litres of alcohol a year by 1974, making Tomatin the largest capacity Scotch whisky distillery in the world at the time. During this period there were 23 pot stills in operation, this has since been reduced to 12 to enable a more efficient operation and a production capacity of 120,250 litres of alcohol per week, 42 weeks a year, therefore today’s distillery has a production capacity of 5,050500 litres of alcohol per year. The distillery was acquired by Japanese shareholders in 1986, who established the current Tomatin Distillery Company Limited, and launched the modern era of whisky distilling in the Monadhliath Mountains. In 1995, we saw the acquisition of J & W Hardie Ltd and the Antiquary brand from United Distillers. Today J & W Hardie acts as the brand export company for Tomatin, dealing with the production, logistics, sales and marketing of the branded bottled goods. J & W Hardie is also the owner of the Talisman Finest Blended Scotch Whisky brand. The distillery has always been an integral part of the local community and the village now known as Tomatin was built around the distillery and did not exist prior to its establishment in 1897. The settlement of Tomatin, which in the Gaelic language means ‘hill of the juniper’, was formed as a result of the wealth that the distillery created in the surrounding area. Historically Tomatin has been used as a filling malt by the major blending companies in Scotland, although the company is now focused on building a strong core range of single malts. The range consists of a 12 year old, 18 year old, 25 year old and a number of vintages. This range will be extended over the coming year with a 30 and 40 year old and a number of specially selected single cask bottlings. Tomatin is one of the very few distilleries in Scotland to retain its own cooperage, where our highly skilled cooper maintains the casks in perfect condition. We feel this situation gives us an advantage over our competitors as we are able to use casks that are consistent in quality thus giving us a whisky that maintains the same characteristics every time. We feel so strongly about maintaining this tradition that we have employed an apprentice cooper whom we hope will continue the long tradition of coopering in Tomatin for many years to come. Tomatin Single Highland Malt has a gentle hint of nuttiness and a lightly peated flavour. Elegant and airy, with a big smooth texture, the 12 year old Tomatin is classic single Highland malt. A true delight for discerning whisky drinkers, Tomatin is carefully matured in traditional oak barrels to produce the lightly peated, delicate flavour which charms connoisseurs. Nose: The complex bouquet contains rich malt and fruity aromas with just a hint of peatiness. Taste: The palate is rewarded with a unique combination of attractive flavours – a balance of apples, pears and malt, with a gentle hint of nuttiness enhanced by the subtle use of sherry wood. The result is a wonderfully rich and elegant taste producing a long and satisfying finish. 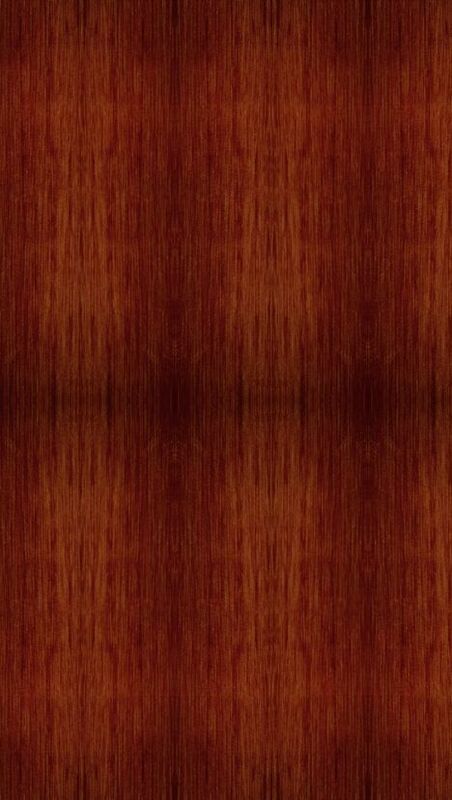 USA - Full Selection of Tomatin Single Malt Scotch Whisky at Whisky.com Store...Click Here! 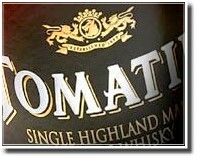 EUROPE/ASIA - Full Selection of Tomatin Single Malt Scotch Whisky at Whisky.com Store...Click Here! We’d love to see you at Tomatin’s Visitor Centre, to share our passion for and secrets of whisky distilling here in the heart of the Scottish Highlands. This four star visitor attraction takes you to the very heart of whisky making. Our friendly guides will welcome you and talk you through the whole distilling process. You’ll meet Albert the Excise Man and hear about whisky-loving angels. Best of all, you’ll be given a free taste of Tomatin 12 year old single Highland malt and have the opportunity for some retail therapy afterwards. Currently open Monday to Friday 9.00 till 5.00. Tours, costing £2.00 per person, are offered daily at 11.00am & 2.30pm. Booking is always advisable. Our Visitor Centre is open at weekends from Easter to the end of October, although we regret that distillery tours are not available. The distillery is open for tours all year around, except for Christmas Day, Boxing Day, New Year’s Day and 2 January. Advance booking is essential for large parties. Call the Visitor Centre at +44 (0)1808 51144 or send an email to Marie. There is plenty of parking, clearly signed, to the rear of the Visitor Centre, with disabled parking just outside the building, and wheelchair access to all parts of the whisky tour. The tour offers wheelchair access to all areas and includes handicapped restroom facilities in the Visitor Centre. Handicapped parking is also available. Available throughout the day, everyday, are samples of the Tomatin 12 year old Single Highland Malt whisky and of the award-winning Culloden Cream Liqueur. In our Visitor Centre you may relax and watch our DVD presentation which gives an insight into how our whisky is made. An in-depth and comprehensive tour of the Distillery including nosing and tasting Tomatin's aged Malts in our private Stillhouse Suite. £30 per person. One single mash at Tomatin uses 7.92 tons of malt which produces around 40,000 litres of wort for fermentation. The wort in turn produces approximately 3250 litres of alcohol. We’re one of the easiest distilleries in Scotland to visit. Look at any map and you’ll see us on the main A9 trunk route, just 16 miles south of the city of Inverness, capital of the Highlands, and 16 miles north of Aviemore and the spectacular Cairngorm National Park. If you're taking the train, you can take it to either Inverness or Aviemore, and then take a bus to Tomatin. Just a few miles to the west lies the world famous Loch Ness, with its secret depths and myths and monsters. We’re also one of the highest, sitting at 1028 feet above sea level deep in the Monadhliath Mountains; so easily accessible and yet with a sense of isolation which adds to the character of Tomatin. So whether you’re looking for walking, climbing, skiing, shooting, extreme sports, shopping, conference facilities, or just a relaxing break; whether you’re looking for a hotel, bed and breakfast, guest house, hostel or camp site, you’re looking at an ideal part of the Highlands. Wow, I&#039;ve been drinking JW Black for the last three years, my buddy bought some Tomatim cause the gas station was out of JWB... very surprised at the bold smoothness and fine taste! My new favorite! Don&#039;t know about the previous comments??? I&#039;ve been looking for a nice smooth, sweet scotch which isn&#039;t to acidic. This one just wasn&#039;t smooth enough, it&#039;s packs a punch. Only thing I liked about it was the nose, the apples do come out pretty good. I thought I would try something new so I bought a bottle,12 year.OK flavor not a big wow factor.Not bad for the price.Lacks a bit of flavor,but a decent drink if you are not looking for a scotch with alot of flavors. I bought a bottle of Tomatin (18 yr) a few days ago, and I have not liked it so far. I am a regular whisky drinker, so I know what I&#039;m talking about. Tomatin lacks exclusivity in terms of smell and taste. Though the label claims peatiness, I have not found any. On the contrary this whisky is sweet (both smell and taste) and has a tap-water finish to it. My experience is the exact opposite of Slims. This is a surprisingly sweet and smooth Scotch, very light. I just finished off a different brand that was so strong I absolutely had to use ice to quell the overwhelming peat, so I was extremely pleased that this bottle of Tomatin was both less expensive and kind to my palate. A real treat! I'm relatively new to the world of Scotch, but from the few bottles I've drained, I have to say I quite like it. It's a great way to make it through the long Wisconsin winters. Of all the single malt Scotches I've had, Tomatin is the harshest. Compared to Aberlour or the Macallan, it's akin to drinking kerosine. If I were you, I'd save my allowance and buy a bottle of something a little more gentile. Unless you like a booze that bites you back, then go for it. Thanks Derek - Updates on the numbers have been made!